Machine Washable This ultra plush towel is cut from angel-tex - a revolutionary fabric that absorbs excess moisture (such as water and sweat) much more quickly than ordinary fabrics. Developed with advanced proprietary micro-fiber technology, angel-tex is woven from fibers that are even finer than conventional micro-fiber. The result is a heavenly light, heavenly soft, super-absorbent towel that uses capillary action to literally "drink up" excess moisture. 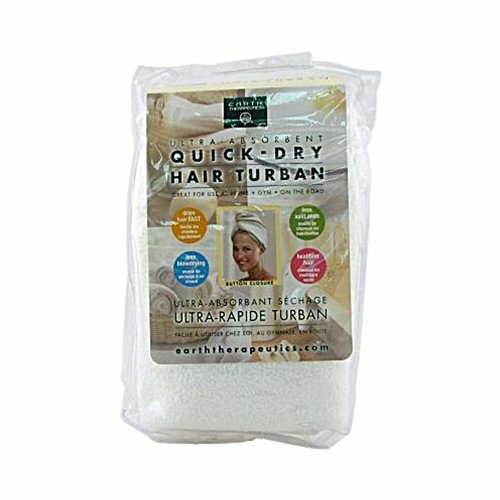 Use on hair to cut down time on blow-drying and bring to the gym in convenient, reusable bag. 18" Wide x 36" Long. Machine washable. Disclaimer These statements have not been evaluated by the FDA. These products are not intended to diagnose, treat, cure, or prevent any disease.